Blog of Sean: Kyoto the Trip! 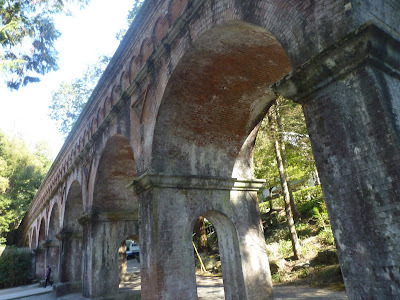 Part 14 - The Philosopher's Path, Nanzenji and Goodbye! 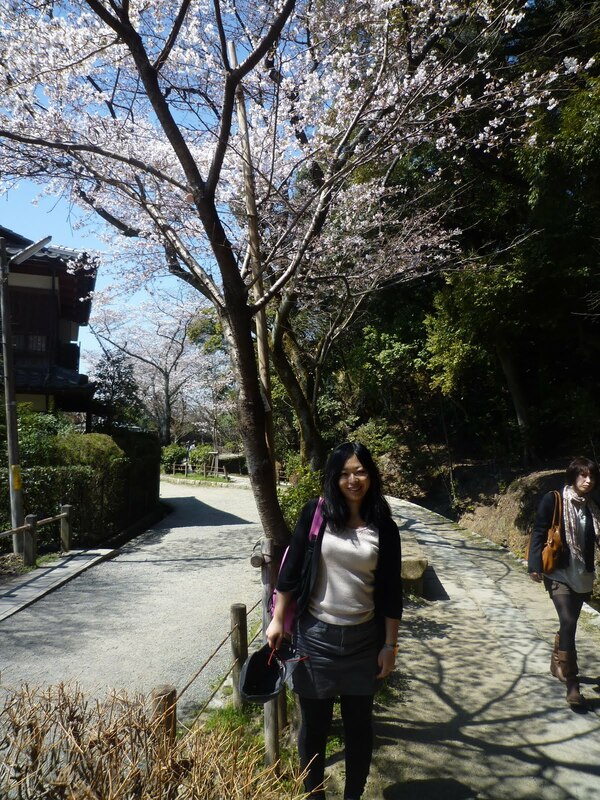 Kyoto the Trip! 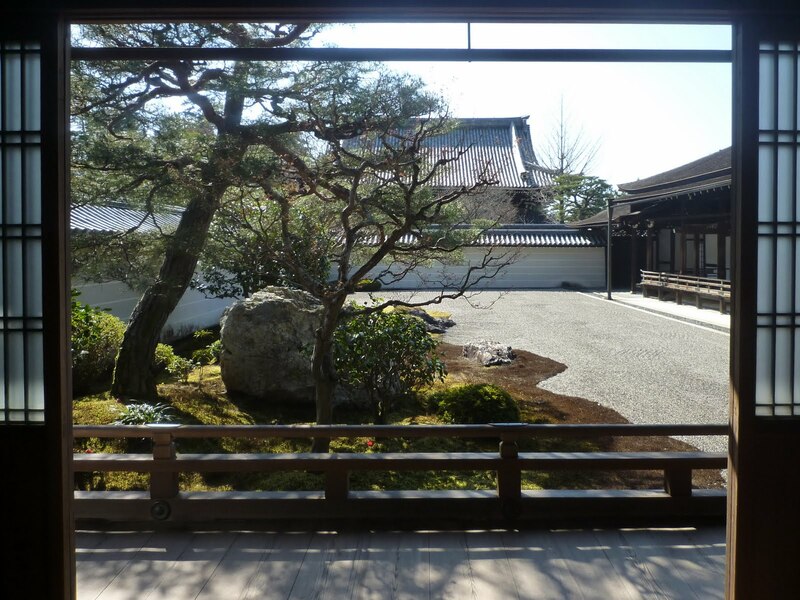 Part 14 - The Philosopher's Path, Nanzenji and Goodbye! 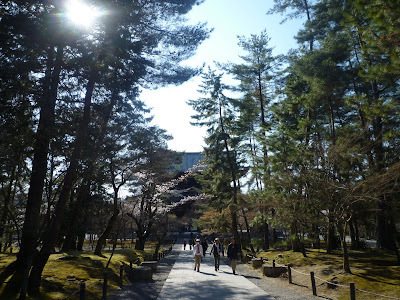 On the afternoon of our last day in Kyoto we headed over to the Philosopher's Path ("Tetsugaku no Michi") which leads to the Nanzenji temple. This is literally just a cherry tree-lined path that winds its way along a canal (more of a ditch) for a couple kilometres. We have some pleasant, sentimental memories of walking along this path together which is why we went out of our way to go see it again. Despite the fact that it figures into most of the Kyoto travel guides, I don't really understand why it is considered an attraction at all. Basically its just a decent path with some nice cherry trees but that is it. Its the type of thing that most cities have somewhere. The surrounding neighborhoods aren't particularly attractive and a fair amount of ugly stuff (parking lots, concrete apartment blocks, etc) make up the "borrowed scenery" as you walk along. All in all it was a pleasant walk. 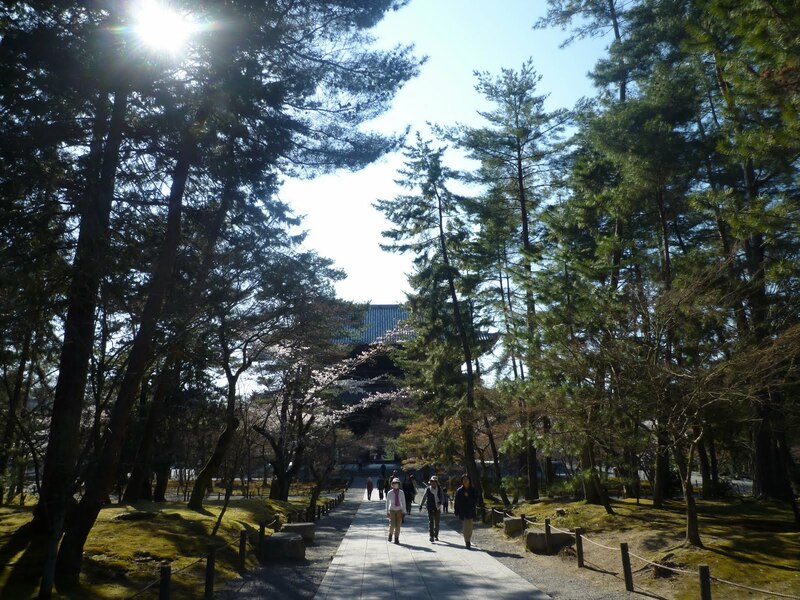 If you are in the area, a walk down the Philosopher's path is a great way of getting from Ginkakuji to the vicinity of Nanzenji. If you aren't in the area, I wouldn't really recommend going out of your way to see it though! After the Philosopher's path we headed over to Nanzenji, the final Kyoto sight that we would visit on our trip. Nanzenji is one of my favorite temples in Kyoto. It has really lovely grounds with attractive gardens and temple architecture, most of which are free to enter, beginning with its impressive gateway: Ena and I had a seat on the ledge of this gateway and realized that inevitably any trip we ever take to Kyoto at some point involves us sitting on the gateway to Nanzenji, looking at the maple trees. 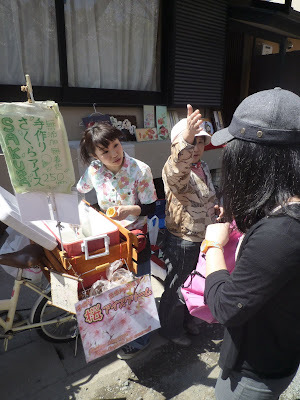 Its a long tradition dating back to my parent's first visit to Japan way back when and continuing up to the present. Its just a nice place to sit. If memory serves the film "Lost in Translation" even has one of those moody, reflective scenes with Scarlett Johansson at the gate to Nanzenji. But we were there first. She is such a poser, that Scarlett Johansson. I don't remember if she was sitting down in that scene or not. 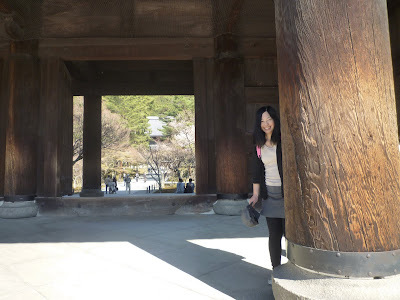 This time, for the first time, we decided to actually enter the paid-entry part of the temple. There are actually 3 different areas that you have to pay 3 different entrance fees for, so we only opted for the most expensive one - the Hojo garden. I have to say that it was a bit of a letdown though. The free parts of the Nanzenji temple are so impressive that I was probably expecting the paid parts to totally blow me away, which they inevitably failed to do. They were nice though. Visiting the Nanzenji was a bit of a bitter-sweet experience though, as we knew it was the last place we had time to visit and would have to bring our fun-filled trip to an end. I have to say that this was probably the best trip we've ever had. It was one of those trips where even when stuff didn't work out (like our arriving too late to see Hiei zan) we just laughed it off. Nothing could spoil the enjoyment we were having. We were lucky with the weather too as it didn't rain at all, which helped a lot! So we headed off back through the gates of the Nanzenji, sad in the knowledge that our trip was at an end, but happy in the knowledge that we had been able to have such a nice time in our four days and once again promising each other that we'd visit again someday. Oh, one more thing: What flavor would "sakura" ice cream be? Is it actually made from sakura (tree) blossoms?? Thanks Bryan, it was a really great time. 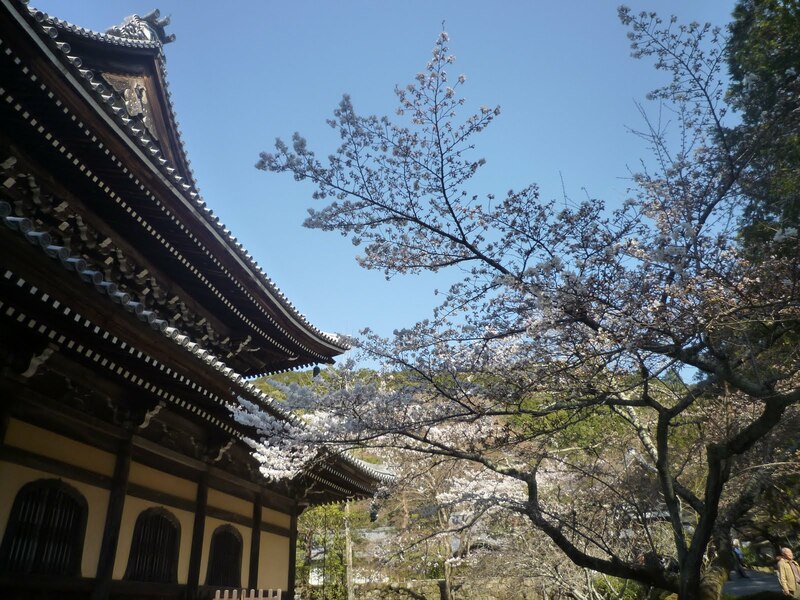 I love having a blog to record all this stuff on too, the previous time we went to Kyoto these things weren't around and I didn't even have a digital camera. The sakura ice cream did indeed have cherry blossoms in it. It was actually a little bitter!